This episode is all about Christine, Alison, Susan, Emma, Maylin, Barb, Mazzy, Carolyn Sue, Anthea and Lesley- Our KnitBritish Woolly Muckers! This episode is sponsored by our final mucker for 2017 – Lesley Durrans. TweedLD on Ravelry, Lesley lives in South Africa and while early knitting experiences put her off garter stitch (heavens forfend!) in the last few years her spirit for knitting has been renewed thanks to Ravelry and taking a class with Marie Wallin. Hear Lesley’s answers to our questionnaire later in the show. 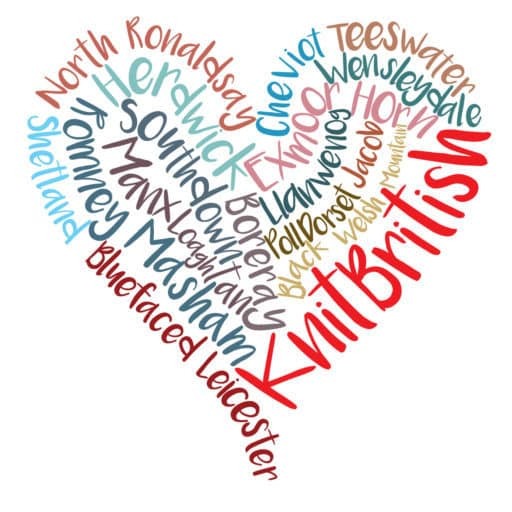 Thank you, Lesley, for supporting KnitBritish. In our chat there were two basic questions, in addition to asking what they’d just cast off. I was constantly blown away by the stories, the first items and the incredible yarn and pattern picks our muckers talked about. Let’s remind ourselves. | What was the first thing you can remember knitting? What is striking about so many of our muckers is that their stand out memories of knits, which they can remember making and finishing, are all quite incredible pieces, due to skill or size of project. 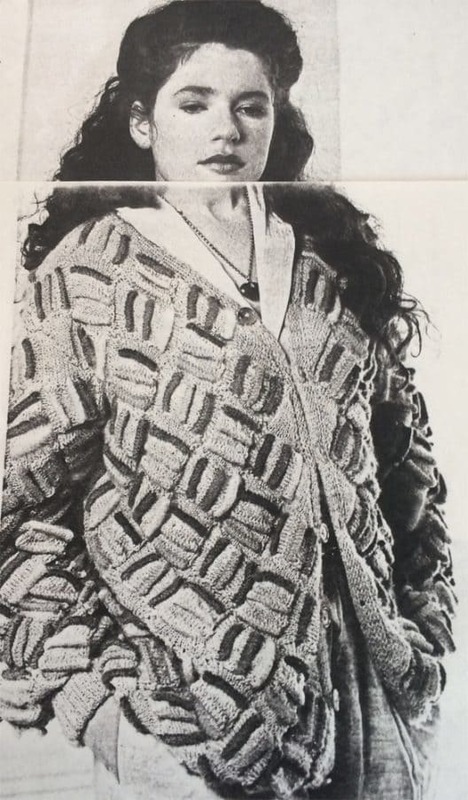 Our first mucker, in March, was Christine Perry and the first knit she can really remember was an incredible entrelac jumper, which she knit in the 80s. Christine still has the sweater too! Alison Mayne was our next mucker and her first knitted object – having only been a relatively recent convert to knitting, was a BEADED Knit Night shawl, by Louise Zass Bangham. Emma Goodlad started on different kinds of squares, but she wasn’t content to have them pile up, she made hers into building blocks for a baby in the family. Another relative newcomer she bounded on next to fine lace haps! 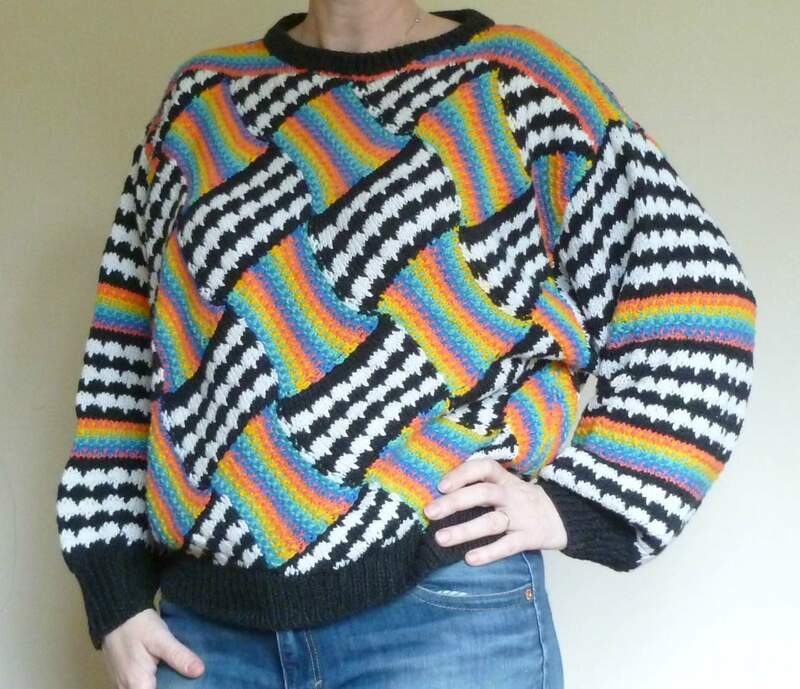 Another entrelac entry – Susan Hobkirk can remember making what was called her Licorice Allsorts jumper. She couldn’t quite remember who had designed it, but our great community here went to work and listener Sue James told us it is Kimono by Susan Duckworth! Great work! In episode 90, Mazzy was our Mucker and the first pattern she can really remember wanting to make was a seamed intarsia sock. She still has the socks too! Barb was our mucker in episode 93 and she was knitting free-form doll’s clothing when she first learned to knit, in the mid 70s. Carolyn Sue Jenkins is from California, She told us about an incredible wool suit that she and her sister made for their mum – But with two different knitters and two different gauges and styles, they soon found out that their knitted fabric was quite different in the jacket and the pants! Anthea Willis was our mucker last month and she regaled us with wasitcoat tails! 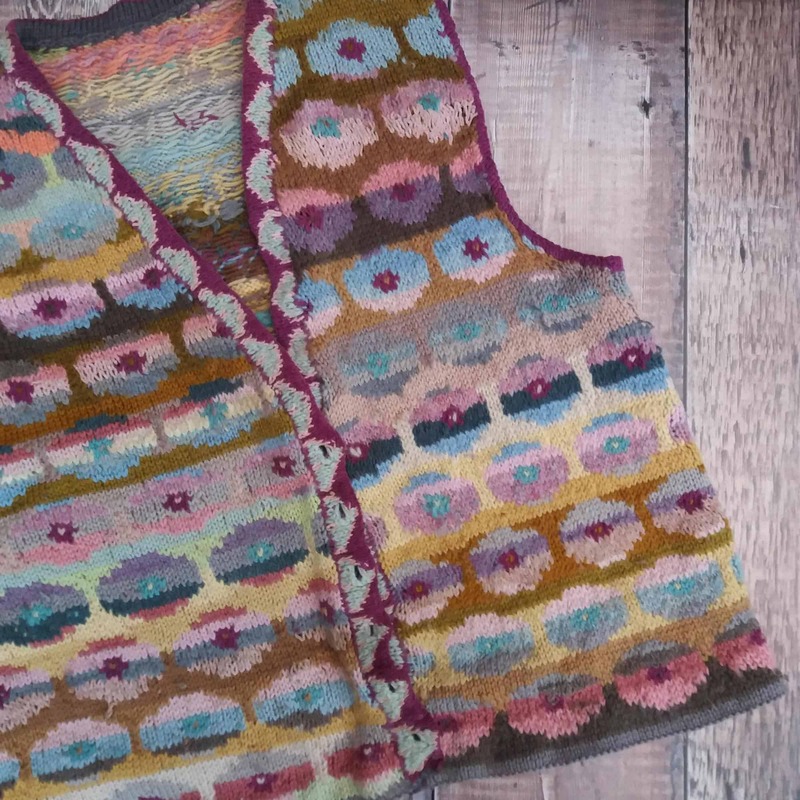 The first thing she made was a basic waistcoat, but then the first thing she really wanted to make for herself – in proper wool – was a Kaffe Fasset design, which her father helped her with. Isn’t it stunning? | Which one pattern and yarn – not necessarily used together – would you like other people to know about? This was a great question! And one which few could 100% pin down to one yarn. Many interpreted the question as their desert island pattern and yarn whilst others wanted to share them with the uniknitiated! Christine’s foray into No Nylon sock experiments at her blog Winwick Mum, lead her to Northern Yarn’s Poll Dorset Lambswool and she is also a huge fan of West Yorkshire Spinners Signature Sock, one I know is popular with KnitBritishers. Christine’s pattern is her own Basic sock pattern – which from personal experience I can tell you, you cannot go wrong with! Alison love’s Juju Vail’s Afterthought heel sock pattern and her yarn of choice is the Doll base, from Rusty Ferret – we both agreed that Leona’s colours could cheer up even the darkest day! Maylin’s choice is one that is very close to her heart and she feels a connection to it through her family history and place. It is the very incredible Titus from Baa Ram Ewe . Her pattern choice – probably no surprise if you are a member of our ravelry group and took part in our Books of Haps -along – it is the Book of Haps by Kate Davies. Maylin is on a mission to make them all! Emma chose the Cobweb shawl by Gladys Amedro as one of her pattern choices and Jamiesons Ultra as her yarn. Mazzy went all out with the deserted island idea and decided that she would need two yarns in case it was a cold or hot island. 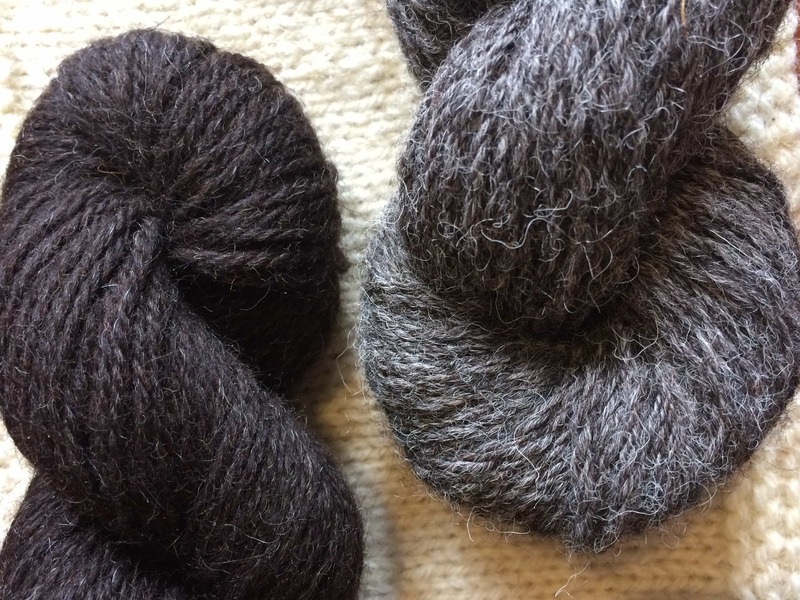 She chose Jamieson’s of Shetland spindrift and also Blacker Lyonesse. To utlise all of the colours of these two yarns she plumped for the Crazy Stripes Tee by Alfa Knits. Barb chose a local wool to her Custom Woollen Mills, in Alberta and her pattern choice is the beautiful shawl collection, Semi Precious Collection, by Maria Naslund. Sue Jenkins favourite pattern is Allermuir, by Clare Devine and she would recommend Ginger’s Hand-dyed for others to try, with this pattern. Anthea also plumped for the Jamieson’s Spindrift yarn, but also Britsock, from The Knitting Goddess – both yarns so great for SO many items. We did giggle at the idea of hammocks made from these on Anthea’s Desert Island. And for the pattern, for Anthea, it has to be the Simple Collection, from Tin Can Knits. An incredible free resource for an entire wardrobe of knitwear. Geared towards the new knitter, there is plenty to keep more experienced knitters busy too. Lesley is TweedLD on Ravelry and I am proud and also a wee bit sad to say that she is our last mucker of the year! Lesley lives in South Africa (it has thrilled me to know we have so many muckers around the world!) she didn’t get her woolly mucker bundle til much later than our other muckers, as the post to SA is so bad. Thankfully she had a postal surrogate pal in the UK! 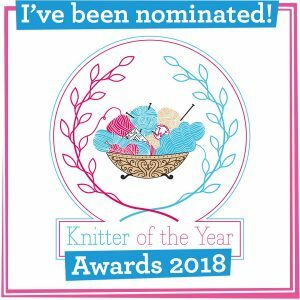 Like all of our Mucker’s Lesley was asked to answer our two part questionnaire, but firstly I wanted to know how she got started with knitting. 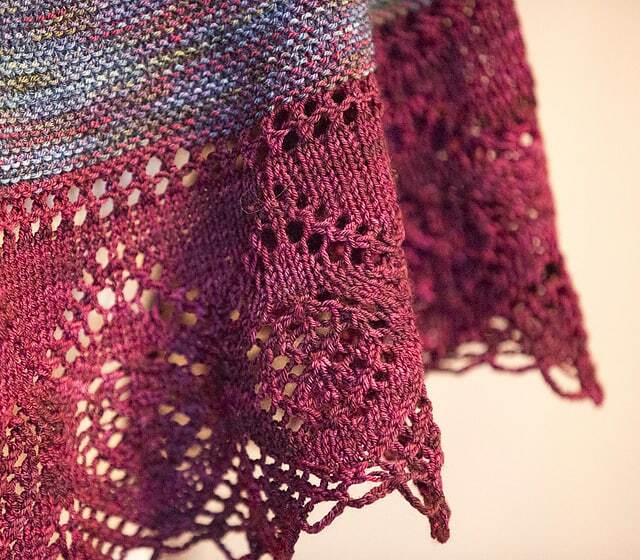 “In the last 3 years, I’ve picked it up again – with only knit, purl, cast on and cast off to my name, I made the effort to travel to a Marie Wallin workshop, and have been infected with the knitting bug ever since. I am learning so much through Ravelry and with A Year of Techniques. Like so many of our muckers, ravelry and community have played a huge part in Lesely’s crafting journey, but a crafty relative is often at the heart of our early experiences. On to the Woolly Mucker Questions. | What was the first thing you can remember knitting and the last thing you cast off? The first thing I remember knitting was the teddy bear in garter stitch – I was terrible and I think it’s given me a dislike of garter stitch ever since. That’s changing slowly, but there is a residual angst of not being able to knit (ha, ha!). The first garment I enjoyed knitting was a cardigan in moss stitch knitting while I was at university – a huge grey thing that never stayed on my shoulders. I’m sure it was in acrylic – it could certainly handle the washing machine. It had the most wonderful handmade sheep buttons, that I rescued before the cardigan went to the charity shops. The last thing I cast off was my first Isabell Kraemer design – Mailin – for the TakeYourPickKAL – in Rowan Summer Tweed. I wanted to use the silk/cotton mix and it’s turned out wonderfully. The pattern I’d take to a desert island would be Marie Wallin’s Orkney – it not only reminds me of home (we could see the islands from the house) but is also what has bitten me with my current knitting bug. Needless to say I haven’t knitted it yet (but I think it will be soon – I’ve had the yarn for some time). And in keeping with colour work, I’ve just this last week been introduced to Jamieson’s Spindrift. If I was shipwrecked on a desert island, being able to experiment with colours would keep my going until my dying days! I just adore all of those heathery colours. It’s so difficult to choose just one yarn – until this week, any of the Blacker yarns – possibly Tamar or Cornish Tin II – would have been competing against merino/silk 4ply from Old Maiden Aunt. Depth of colour is definitely important to me. Let’s face it – there are so many wonderful yarns available, I could be happy with just about any British yarn. Lovely Lesley, thank you so SO very much for being my woolly mucker and supporting the podcast in 2017. Thank you to all of our muckers. I know how much you have all enjoyed hearing about them and listening to their stories. They are also a big reason why we had a show in 2017 – so round of applause for Christine, Allison, Susan, Emma, Maylin, Barb, Carolyn Sue, Mazzy, Anthea and Lesley. Sadly the Mucker Listener Sponsor opportunities will need to be retired for 2018. As you know the schedule is changing due to my new work circumstances and some things have had to change too. Before I could arrange interviews and work on content most days, but working full time has put the kibosh on that. 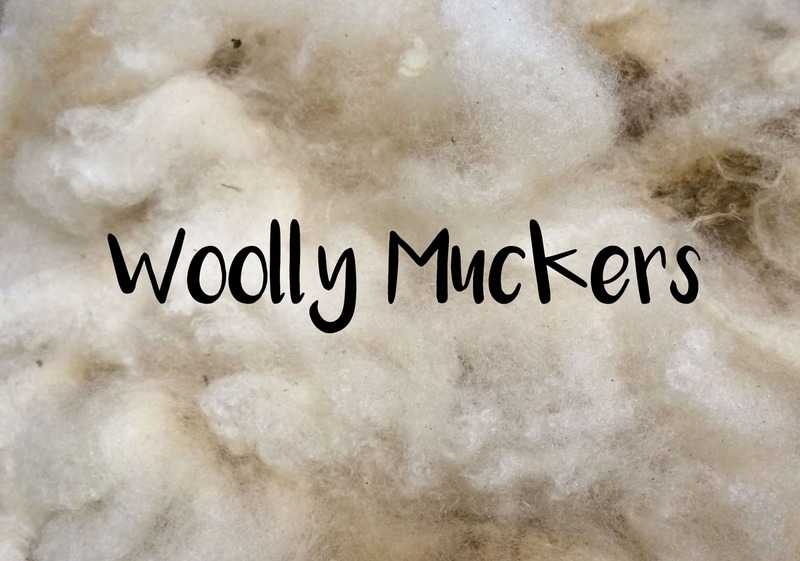 The fact that the Woolly Muckers have been so well received and that I have enjoyed it so much makes me feel a bit guilty to say this, but I do need to think of managing my interests. That said there are many aspects of the muckers that we are going to keep. Those reviews that you all loved so much this year? We are definitely keeping them! Would you like a chance to review wool for KB in 2018? Well, you can add your name to the list in the KB group. There are certain rules, such as knitting and delivering your reviews by the deadlines you are given (which will be generous!) but I would love to open the reviews up in 2018. Also our questionnaire, it has been so wonderful to hear about your crafting life and the patterns and yarns you love so much. I think I need to ask more of you about these in 2018. Perhaps I’ll start at EYF! Of course, what is lost is the support element. Any sponsorship for KB goes into hosting and things like posting prizes and going to events to report back on. There is not a big business here and I’ve not interest just now in that, but if you do want to support what I do here there is something, only if you are so inclined. I’ve always said I didn’t want a paypal button, as it is a bit generic and I didn’t feel I could sufficiently give thanks back for donations. 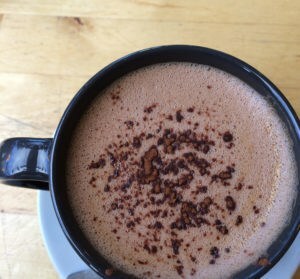 There is something now, which essentially *is* a paypal method, but its called Ko-fi. It was set up as a way to “buy a coffee”, a friendly metaphor, for supporting your favourite creative people. I do most of my podcast prep in a coffee shop, so a donation on ko-fi would *actually* fuel that and enable the podcast to be made. Anything else will go directly to the running of the podcast. KnitBritish listeners and followers are the most incredible. I know I am biased, but you are. I am blessed. Thank you for everything this year and I cannot wait to see more of you in 2018 and see what KB holds for us then! I appreciate how you are taking care of yourself. It seems to be the message in our culture these days that we can have it all, do it all. Thank you for a wonderful and inspiring podcast. I will look forward to and be grateful for your monthly podcast episodes.